It should go without saying that many of the routes through the Chattahoochee and Oconee National Forests reveal the scenic beauty of these special lands. Whether you're on a high speed highway or a two-lane forest road; whether you're in the hill country of the Piedmont or the mountains of north Georgia, you'll see some great scenery along the way. But there are those special routes that we recognize. Scenic byways draws attention to outstanding scenery on national forests and provides opportunities for people to see well managed and changing forest landscapes. The lands through which the byways pass offer aesthetic, cultural, and historical values. Those of you who venture out onto our scenic byways will have memorable experiences as you gain access to wildlife and their habitat, history, scenic vistas, geology, and streams, lakes, and waterfalls. The Russell-Brasstown National Scenic Byway has all these features and presents to its travelers the special character and quality of the area through which it passes. While there, you can stop and enjoy the view from Georgia’s highest point, Brasstown Bald. Drive along the Ridge and Valley Scenic Byway, which tours the Armuchee Ridges of the Appalachian Mountains. Several major Civil War battles were fought in this area, most of them centered around the railroad, which stretched from Chattanooga, Tennessee to Atlanta, Georgia. The Cohutta-Chattahoochee Scenic Byway in Murray County provides breathtaking views of the Cohutta Mountains. For a complete list of scenic byways in Georgia please visit the DOT website. 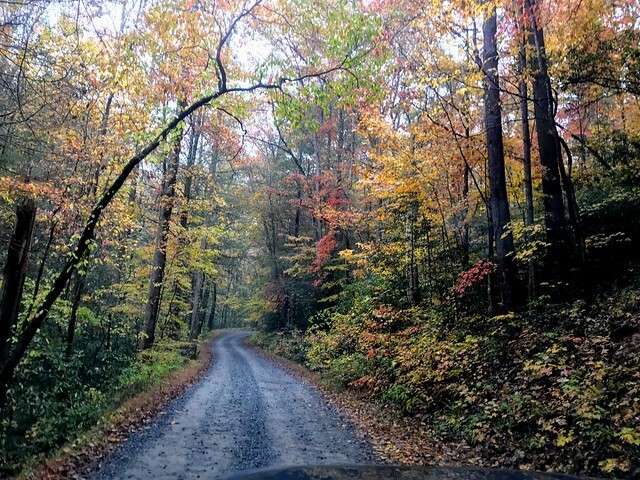 Outdoor Fun in the North Georgia Mountains: Explore 16 of the most popular mountain recreation spots on the forest including waterfalls and scenic drives. The following maps are georeferenced for mobile applications.